Monique DeLeon, Deputy Probation Officer, tells the audience about her educational background. 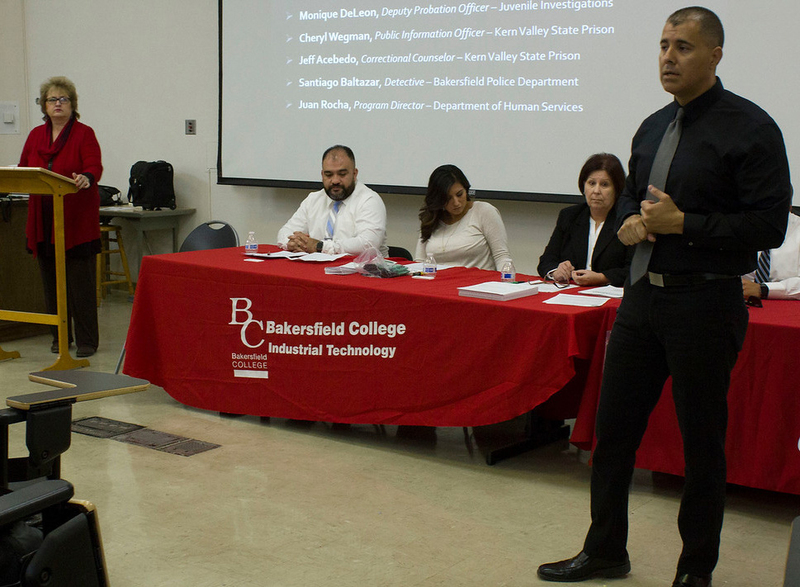 The Bakersfield College Career & Technical Education has opened a pathway of opportunity for students at BC by hosting a panel of criminal justice employers who participated as guest speakers. The event took place in Forum 122, on Oct. 11 where the panel participants gave specific advice as how to acquire gainful employment in the criminal justice field. 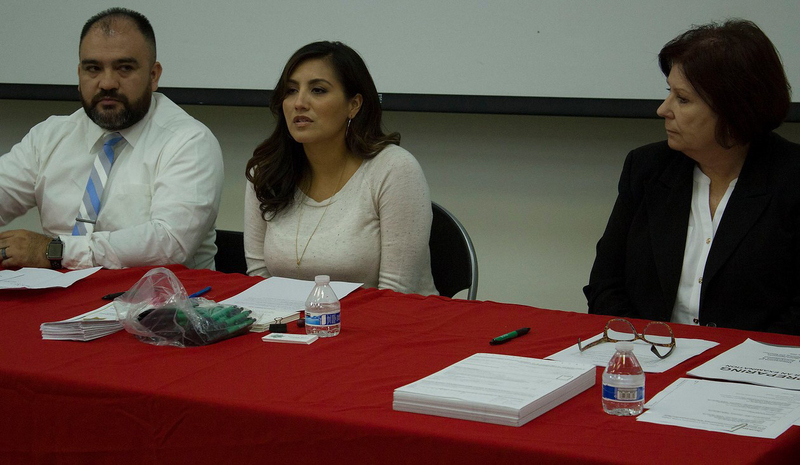 Aguirre along with advisor Dominica Dominguez and program manager Stephanie Baltazar coordinated the event, which focused on a panel of guest employers discussing their experiences in the criminal justice field. One of the questions posed to the panel asked about their worst experiences in their field. Juan Rocha, from Child Protective Services described a case where a 5-month-old child was killed by his father without warning. Cherly Wegman, Public Information Officer for Kern Valley State Prison discussed her experience of being sued by an inmate because he claimed he didn’t receive his kosher meals as requested. 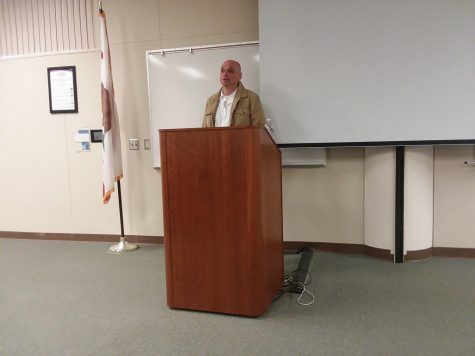 Juan Rocha, Bakersfield Alumnus and Program Director at the Department of Human Services, talks about his expertise with the audience. 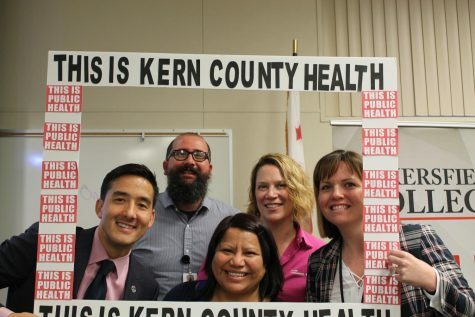 Students hearing these real-life stories of challenges faced by these individuals provided insight on what could potentially await in that career, allowing the student to make an informed decision about entering that field. Panel members were asked three other questions that shared insight about their careers such as: What level of education is needed to enter these various careers and what was your best or most rewarding experience in your field?. Students who attended this event are predominately criminal justice majors who are seeking employment in this field of study. Students engaging the panel received firsthand information that could potentially provide some internship opportunities or an in-demand entry level position within one of these agencies. 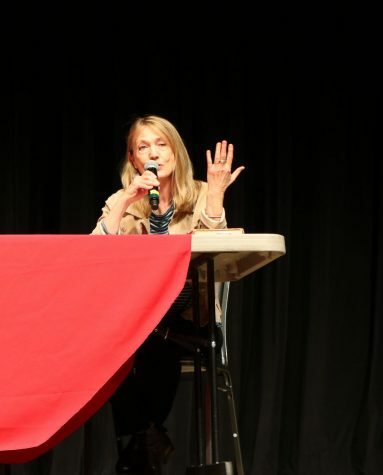 Approximately 80 students attended the panel discussion/mini job fair, and with more “Jobs In Justice” events planned the number of student participants could possibly increase. Extra-help positions have a minimal screening process that allow potentially permanent employee candidates to gain entry to their prospective fields under a different classification that does not require immense scrutiny. 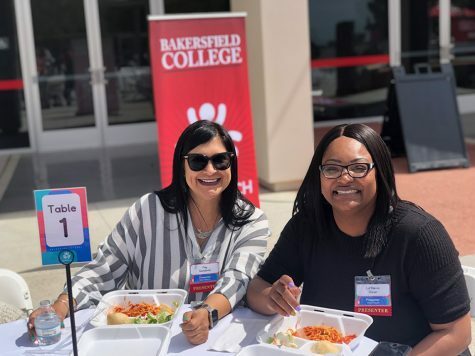 As Bakersfield College aligns itself with the growing trend of career pathway structured community college curriculums, the benefit to transfer students as well as certificated students, whom are interested in working, may be the best practice for the institution. “Our Delano Campus mentioned to us that they have classes going on for criminal justice and they would like this event,” Aguirre said. CTE has scheduled the next “Jobs In Justice” panel for 6 p.m. Tuesday on Oct. 24. The next panel will include: Edwin Barahona-Assistant Court Supervisor of Kern County Superior Court, Monique DeLeon-Deputy Probation Officer of Juvenile Investigations, Cheryl Wegman-Public Information Officer of Kern Valley State Prison, Jeff Acebedo-Correctional Counselor of Kern Valley State Prison, Santiago Baltazar- Detective of Bakersfield Police Department and Juan Rocha- Program Director of Department of Huan Services. Tentatively the Delano Chief of Police or a representative of the office will attend the event.